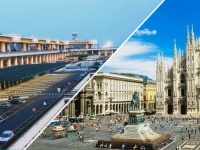 Fiumicino – Leonardo da Vinci International Airport is the biggest air station of Italy with 5 terminals. It is situated in 35 km from the historical center of Rome. If you get there, you will wonder how you can get from Fiumicino to Rome. There are few kinds of transport to do this. 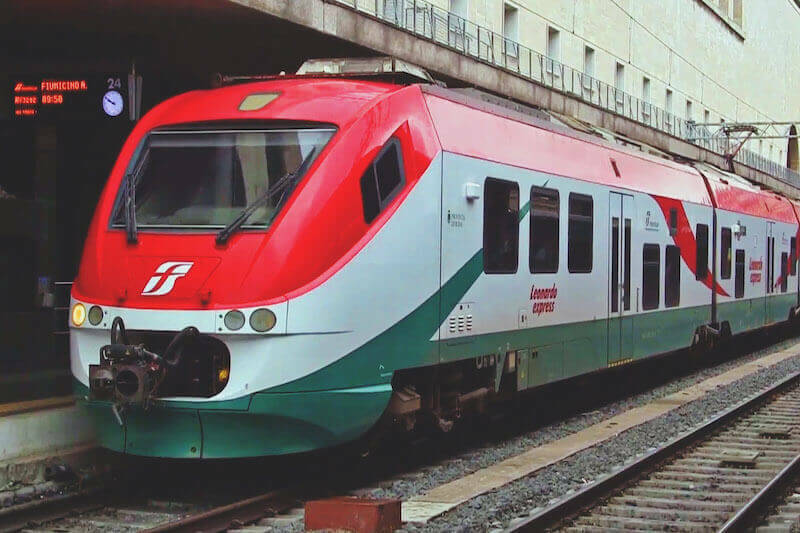 Fiumicino Airport is connected with Rome by railway connection. Daily from 6:36 to 11:36 there is train Leonardo Express every 30 minutes. You can find the exit to railway platforms easily – you should follow yellow arrows with the image of train and note “Train”. When you get to escalator, you can see booking offices of sailing tickets and terminals, as usual there are many people, so you should better get down to railway station. There are also terminals and booking offices, the ticket will cost you 14 euro (children to 12 are free). Before going into train, you should punch your ticket, ticket-punches are situated near the exit of platform. Sometimes they don’t work, so you can easily write down the date by pen. You can use ticket next 90 minutes. Express departs from the second platform and it goes to the station Termini (it’s the main railway station in Rome) without any stops, the whole trip will take you 35 minutes. How you can get to railway if you should get to another station? To do this you should buy ticket not to Leonardo Express, but to local train, it’s cheaper (about 8-11 euro, children to 12 with adults go free). The train goes by special line FM 1 through the stations Trastevere (it will take 27 minute), Ostiense (32 minute), Tuscolana (42 minute) and Tiburtina (47 minute). When you get to the first three stops, you can get into underground and get to any point of Rome. Train goes every 15 minute in working days, every 30 minute in weekends. The first departs from the airport in 5 am and the last in 9 pm. Those, who don’t have big budget, but have much time, can get to Rome by bus. Usually the trip by bus will take you about one hour, but if there are any traffic jams, so this trip can take you about 2 hours. Tickets cost 4,5-7 euro, you can ask driver to buy them, employees of transport companies or in tobacco stand with the tablet «Tabacchi» in the building of air station. The stop is situated on the right near the exit of arrival hall terminal T3, you can get there easily by arrows. The last stop of all routes is the station Termini. 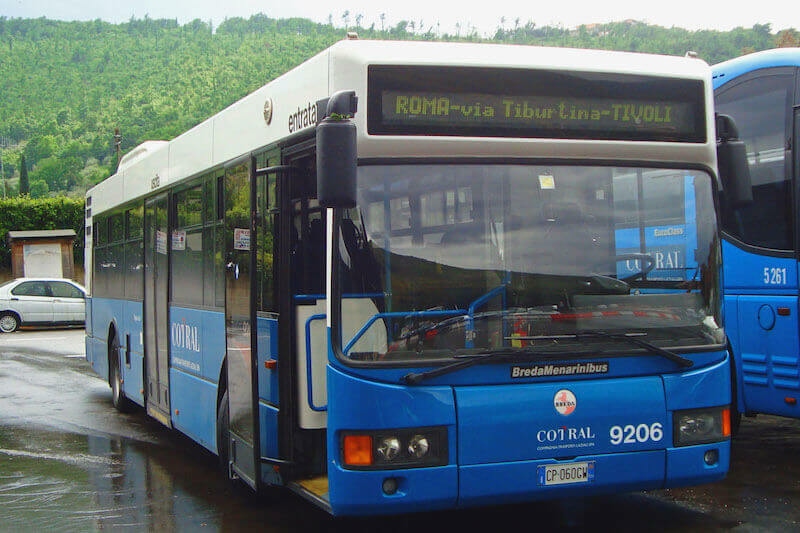 The bus of «Cotral» company stop near the station Cornelia and Tiburtina, also near railway station Eur Magliana. Transport departs from Fiumicino Airport every 5 minute, there are less routes, but there is still an opportunity to get to Rome. 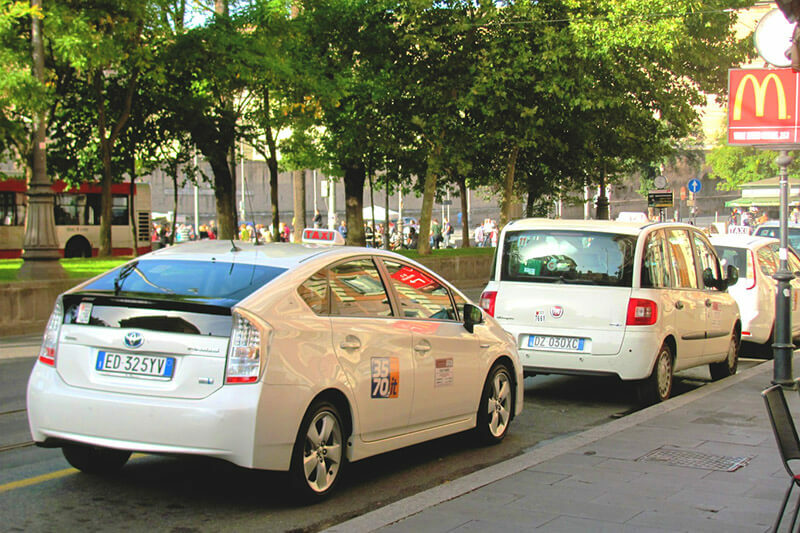 Many tourists when they decide how to get to Rome prefer hiring a car. In this case you will need international license and deposit. The minimum age of driver is 18 (in some companies 21 or 23) year old. Sometimes you will need to pay extra money, if the driver is less than 25 year old. The price for hiring a car per one day begins from 55 euro. There are many offices of transport companies, but you would rather book your car beforehand, especially in hot season. Cab will take you quick and with comfort to any point of the capital. There are legal transport companies, so are illegal. You shouldn’t use the service of the second one, because they can cheat (especially tourists), by increasing their prices. The taxi rank is near the building of the airport near terminals Т1, Т2, Т3 and Т5. 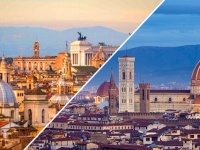 The price for the trip to Rome is about 40-70 euro, tariff depends on the amount of luggage (one luggage is free) and the of the day. In any case, if the driver will ask for more than 70 euro, you should go to another driver. The trip by cab will take you from 40 minute to hour.